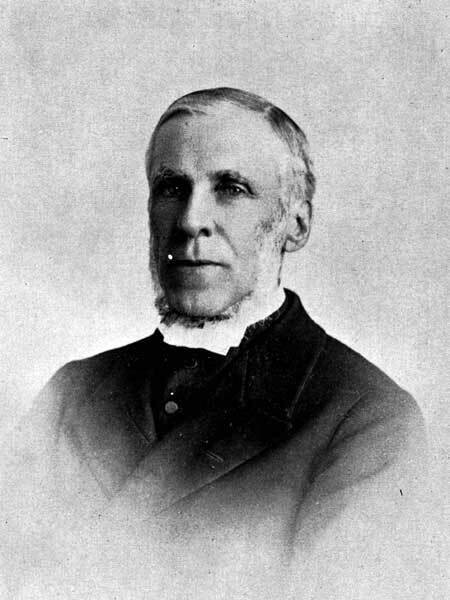 Born at Yetholm, Roxburghshire, Scotland on 25 May 1829, son of Ralph King and Mary Scott, he was educated at the University of Edinburgh (MA, 1856), University of Halle (Germany), and Knox College, Toronto (DD, 1882). He married Janet Macpherson Skinner in Toronto on 4 December 1873. They had two children. His daughter, Helen, married the Reverend C. W. Gordon (Ralph Connor). Between 1856-7 and 1863 King was in charge of congregations at Columbus and Brooklyn. In 1863 he became pastor of St. James Square church in Toronto. He was Moderator of the General Assembly of the Presbyterian Church in Canada in 1883 and Principal of Manitoba College (now the University of Winnipeg) from 1883 until his death. He was interested in public charities such as the Children’s Home and the Relief Society. He presided over the annual meeting of the Winnipeg General Hospital for many years. He wrote A Critical Study of In Memoriam (1898) and The Characteristics of Scottish Religious Life and their Causes (1882). King died in Winnipeg on 5 March 1899. He is commemorated by King Street and John M. King School in Winnipeg. Microfilm of some of his papers is at the University of Winnipeg. John Mark King, Dictionary of Canadian Biography XII, 489-91.